Congratulations on your new role at Questrom School of Business! We hope you were able to attend our new faculty orientation this summer, but these pages will help you with everything that you’ll need to know to get started. If you discover items that you had to find elsewhere (that you wish had been on this site), please let us know at questromhelp@bu.edu, so that we can make this site even more useful for future new faculty. Thank you. Since its founding in 1913, Questrom School of Business has been a leader in innovative management education. Today more than 2,600 undergraduates and 1,200 MBA and PhD candidates constitute its active, achievement-driven student body. Questrom is a leader in systems thinking and leadership training, and takes pride in the diversity of its faculty, staff, and student body. Unlike most business schools, Questrom School of Business teaches managerial perspectives using a systems approach. It is critical for managers today to understand all the varied forces that act on and within any organization. We teach an understanding of the critical interrelationships of various functions within organizations. At the same time, we encourage students to choose a concentration to build subject expertise in one or more areas. Through various cooperative relationships, we also support students in pursuing dual degrees with other Boston University schools and colleges. Furthermore, we strive to educate students to add value in every endeavor, in the organizations, their communities, and the world. Questrom’s programs have enjoyed increasing recognition in the past few years, as measured by rankings, research income, SAT and GRE scores, graduate placement rates, and alumni leadership positions. Our undergraduate (BSBA) program admits roughly 400 majors each year (more as minors), with highest representation from New England, New York, and California. One-third of our undergraduate population are international students (mostly from China and Korea). Most complete internships in their second and third summers, and are very busy with job searches throughout their senior year. One-quarter spend a semester abroad in junior or senior year. Our full-time MBA program includes roughly 300 students, with 40% international representation. Our part-time MBA program has about 200 students, all working professionals. Intership and job searches are very intense throughout the year. 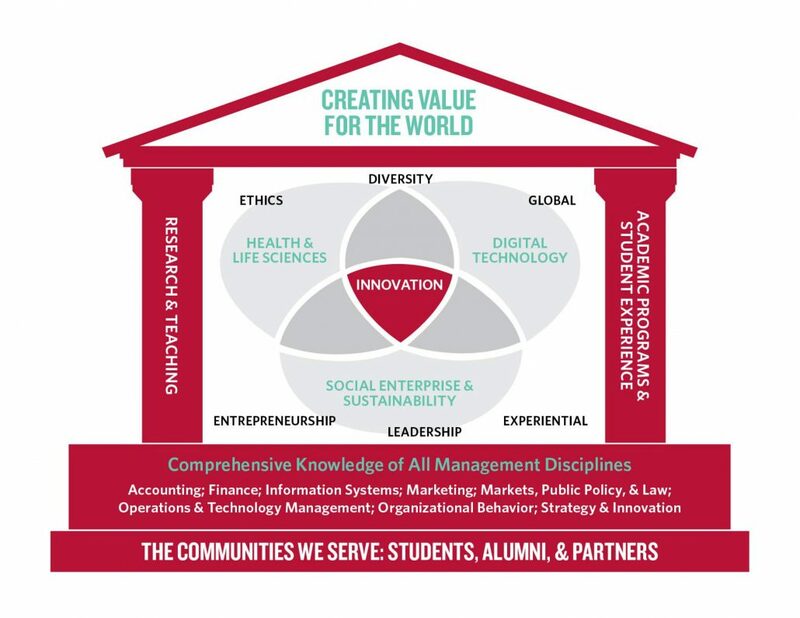 At Questrom, our mission is to prepare ethical and innovative leaders who create value for their organizations, their communities, and the world. Each August we meet with incoming faculty to discuss their new careers here at Questrom. Our meet and greet on August 22, 2018 included a subset of slides which you can view here. 1 (on campus) Discuss appointment process Meet with Department Chair or his/her designate. Initiate hiring process. (Part 1) You will receive an automatic email after your appointment has been initiated in the payroll system. Follow the instructions to set up your BU email and password and to complete Section 1 of the Employment Eligibility Verification (I-9) form. Non-US citizens must go to the International Students and Scholars Office (ISSO) at 888 Commonwealth Ave, 2nd floor (617-353-3565) to complete their I-9 form. (Part 2) Section 2 of the I-9 should be completed in person at HR (25 Buick St.) Please bring acceptable forms of identification (http://www.uscis.gov/i-9-central/acceptable-documents) and your appointment letter. 5 (on campus) Getting Started Your department’s Senior Program Coordinator (SPC) will reach out to you to set up a meeting. The SPC will explain academic support services, help you get situated in your department, and point you towards next steps. Basics for getting started in your department. 8 (online or on campus) Attend Onboarding Orientation Check website for details. If you are unable to attend in person, links to materials and information will be provided. Full-time faculty are appointed on a contract for a designated period of time. When applicable, faculty are evaluated and reappointed prior to the expiration of his/her initial appointment term. For each appointment, a written contract letter specifying rank, tenure status, initial appointment period, starting salary, and other appropriate conditions shall be provided to the faculty member with a copy supplied to his/her department. Appointments of Associate and Full Professors with tenure are not effective until and unless recommended by the Provost and approved by the President. Any subsequent extensions or modifications of an appointment shall be stated in writing to the faculty member with a copy to his/her department. Semester by Semester – Appointments of Part-time Faculty Members may be made on a semester-by-semester basis as determined by the Provost or the Provost’s authorized designee, but such appointment decisions and determinations are within the reasonable discretion of the University. Multiple Semester Appointments – This section describes appointments of Part-time Faculty Members for more than one contiguous semester (Fall Semester, Spring Semester, and/or Summer Term). Part-time Faculty Members may receive a multi-semester appointment when the hiring unit can reasonably predict that the Part-time Faculty Member will be offered at least one course assignment in two or more contiguous semesters. The basis for this decision includes stable past course enrollments in the courses in question, and past performance of the Part-time Faculty Member in the same or similar courses. Note that the Fall semester is 4 months (September through December), the Spring Semester is 5 months (January through May) and Summer Term includes two sessions: May through June and July through August, for a maximum of 4 months. Recurring Appointments – Appointments of Part-time Faculty Members for one semester (e.g., every Fall or Spring or Summer) for a period of two years or more. Recurring appointments may be offered when the hiring unit anticipates stable enrollments in the course in question, and anticipates that the Part-time Faculty Member will be reassigned to teach the future course in question on the basis of past performance. Part-time Faculty Members will receive pay during the semesters in which they teach. For information on BU’s recent unionization, please visit http://www.bu.edu/hr/labor-relations/.